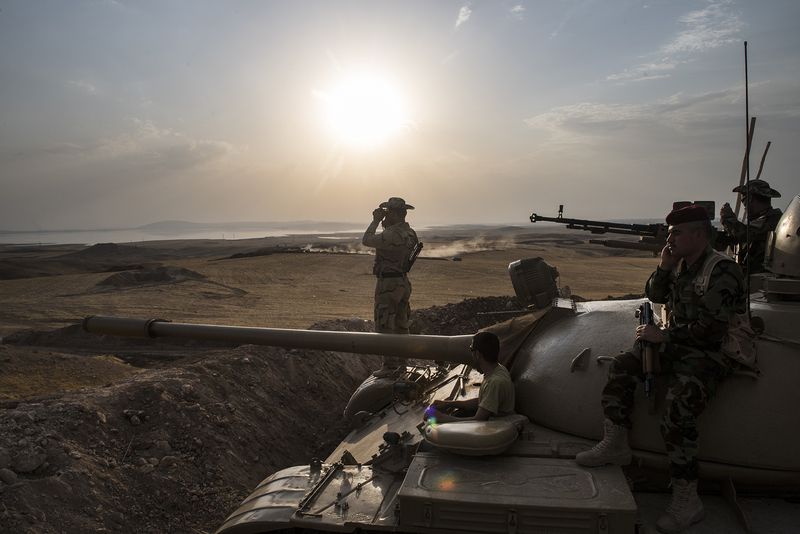 Kurdish Peshmerga forces stand in overwatch positions near the Mosul Dam in Northern Iraq, August 18, 2014. Iraqi officials said on Monday that Kurdish and Iraqi forces were on the verge of reclaiming control of the strategic Mosul Dam from the Sunni militants who seized it two weeks ago. The American military is helping fight IS with targeted airstrikes on IS positions near the Mosul Dam, and Peshmerga are fighting on the ground.